Tonight Jon Buford hosted a hangout on AIR to answer questions from the community and interested parties. Some good questions were raised and the progress on the project is clearly moving along. 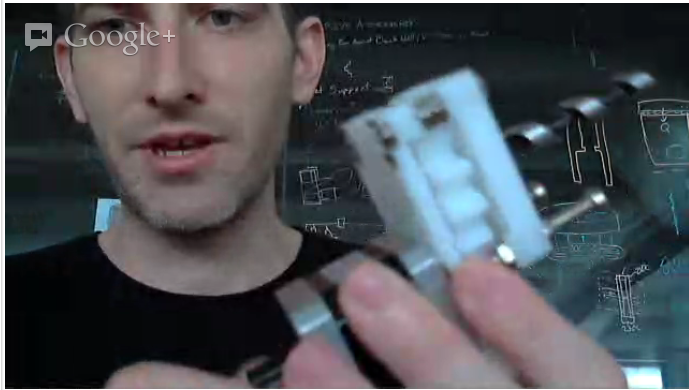 During the hangout Jon covered several parts of the printer they’ve iterated on. The extrusion system using the pellet drive is now using a 2:1 gear ration instead of direct drive which has increased performance and helped mitigate stalling issues that were present in the direct drive version. The cold die for the extruder has been swapped from a brass material to stainless steel which has allowed the filament to be extruded at a more consistent rate and diameter. 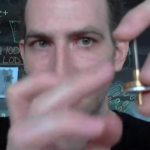 Jon estimates that the tolerances are within 0.05mm. The extruder will produce 1mm filament that will then be driven to the floating Ultimaker style hot end through a bowden tube. Makibox is working on a daughter card that will handle some extra functionality to handle back pressure as well as keep track of the rate that filament is being extruded. The daughter card will detect how much filament is extruded probably through an optical encoder. The card will be able to detect when the drive is stalling by watching if there is a spike in the current the motor is drawing. 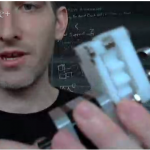 The optical encoder is hoped to forestall the use of any retraction mechanism being needed and for the first design they will not be able to retract.Jon explained that given the smaller diameter filament combined with the finer extrusion control afforded through the optical encoder that retractions might be unnecessary with his drive system. Hopefully, since the main board that is going to drive the Makibox is the Printrboard Rev B the daughter card will be able to be used in other filament extruder designs on different printers using the standard firmware. The card will interface with the main board through IC2. The main board (Printrboard Rev B) will be available through their shop for approximately 100$ + shipping from Hong Kong. If you want to contact them they are doing small orders on the side for those boards as they have hundreds in stock waiting for the final revisions to the extrusion system to be complete. Through several iterations the Makibox team has settled on using a stainless steel PCB heated print bed that utilizes a unique trace design on the heated bed that gives a strong uniform thermal coefficient across the entire bed. 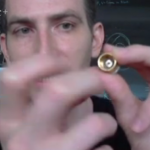 Jon hopes that the design will be expanded upon to larger printers (such as the Prusa) once they release their design files. The printer will print directly onto the steel bed with only some form of tape between the plastic and the heated steel. Currently the bed requires the most time to heat up with taking from five to ten minutes to reach ABS filament temperatures. The extruder only requires one to two minutes while the hot end heats up in less than a minute. Nozzle assemblies for both the extruder and the hot end will be available as replacement parts and should only be approximately twenty US dollars. Makibox is developing their own printer control software that they are calling 5D print which will send the G-Code to the printer and allow manual control as well as give feedback on the state of the machine. They are also modifying the standard firmware (Marlin/Sprinter) to use a new communication protocol that is claimed to overcome buffer related issues with printing. Right now there are approximately 600 pre-orders for a Makibox and Jon hopes to get twenty beta units shipped to early adopters by the end of October with all other orders beginning to be shipped out two weeks after the beta units. 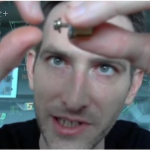 Despite facing a great deal of skepticism from the RepRap community it looks like Makibox is making great strides in producing a pellet driven machine. While not self-replicating the work done related to pellet extrusion will be invaluable to the RepRap project when the design is open sourced. Jon is hoping to release as much code and designs as he can under the least restrictive licenses possible. He will be honoring the licenses of the projects his product has leverage (Firmware / Printrboard design) by making those changes open. He hopes to establish his company as one who is practical about open source and is focusing efforts on understanding how to balance the desire to be open and the need to keep the company going forward fueling further development.